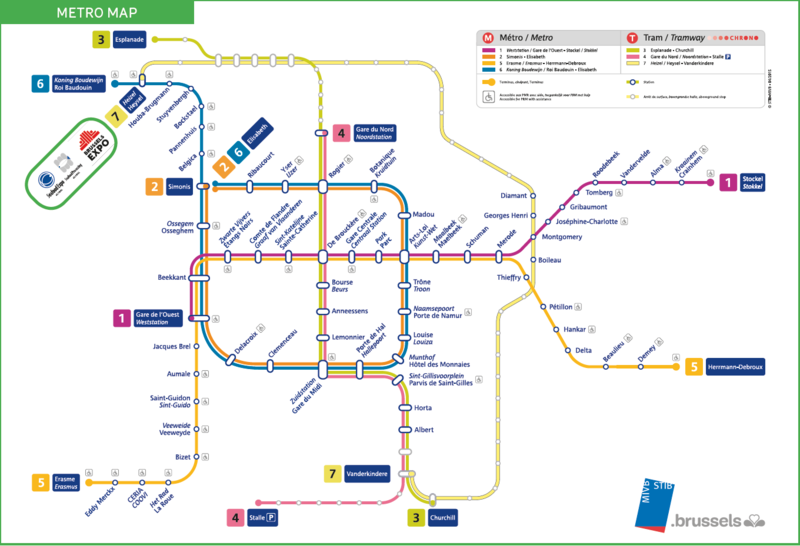 From Central Station (Bruxelles-Central), take the metro line number 5 towards Erasme, or line 1 towards Gare de l’Ouest. At Beekkant take line 6 towards Roi Baudouin and get off at Heysel. This journey will take about 20 minutes. Use the metro for free during expo days with the Event Pass. Click here to access the Metro map.